With the commonwealth games starting this week, many kids and even adults are going to feel inspired to pursue their dreams of wanting to become a professional athlete. We encourage children to try everything and stick to the sports that they like, however when you start calculating the cost of how much it’s to put your child through sports you may find yourself questioning if it’s worth it or not. This will be a basic summarisation of some things to expect and how to save some money the items you’re buying your children. 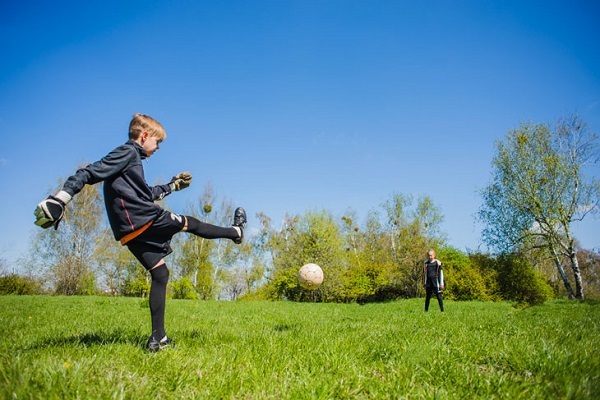 Most New Zealanders find themselves budgeting and planning ahead for future finances, however when it comes to children and sport, you may not realize how much it could be costing you. Remember that fees and costs are relative to where you are located but for the most part, teams try and make it financially feasible for parents so that all children can participate in sport. When it comes to encouraging your kids to play sport remember what you will be paying for: fees, equipment, trips, and even clothes. However, keep in mind some of the positive repercussions that will arise with not only your child but you as parents. Having said that all of that, you should still absolutely spend money to let your children play in sport. Now that you know what to expect, you can budget and plan so that your child can have the same opportunities as others. If you are still feeling hesitant about it, remember that it’s another way you can bond and spend time with your children. You will not regret the time that you spent with your children while they were young, especially supporting them with a sport that you enjoy as well. The best part about watching your children play sport is seeing them grow and emphasize their own talents. Don’t let the cost of sport neglect your children from participating in something that they will love because there are always ways to budget and plan for when they do want to join. These tips will allow you to save some money while your kids adore playing sport without feeling left out. If you volunteer some of your time, such as coaching, then they may cut down the cost of the fees for your children. An advantage of getting to know the parents of the other kids is that you can plan a car pool schedule to save time and money on petrol. When you are looking to buy equipment for certain sports, do some research and try finding sales or used items. Finally, skip the expensive accessories, once your children get really into the sport they will probably want the top of the line gear that they will probably grow out of in the next year or two, so save yourself the trouble.